Reliefs :: Reliefs : Special offer! To celebrate the release of the Biomes update of Reliefs, a special offer will be available. 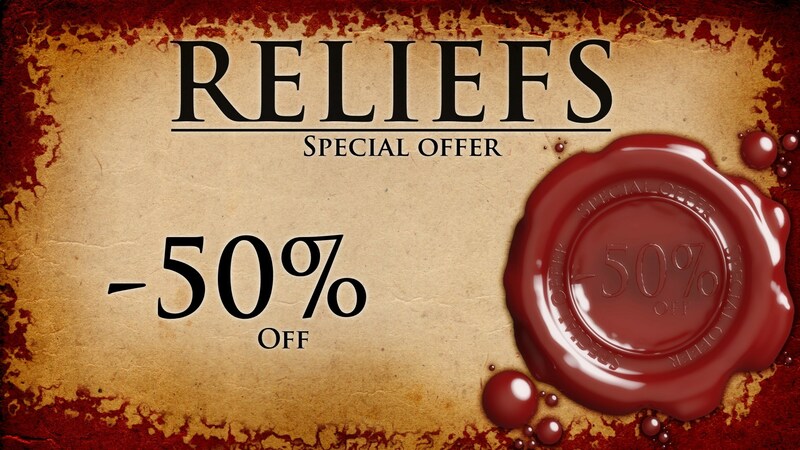 During a limited time, Reliefs will be available at -50%! This special offer starts at the 5 April 2019 at 10h00 to 8 April 2019 at 10h00. This is only for this weekend, enjoy!